Who was your favourite Fairy Tale Princess growing up? Who was your favourite Superhero? Tell me and I'll tell you what it all means for you...Confucius-style, yo. You are looking for romance that will bloom beneath the surface. You believe that you can find a deeper connection intellectually and spiritually and build romance from there. The outside appearance is not as valuable to you as a mutual respect and understanding. Be wary of dating ugly men with the assumption he automatically developed depth and kindness because of his unfortunate appearance. The Disney Version: Essentially, the little mermaid is selfish and self-centered. She defies her father, disrespects her culture, and endangers her people- all in the name of "love" with a man she has only watched from afar. She mutilates her own body in order to get the attention of a man, sacrificing her voice and relying upon "body language" to create a relationship with him. In the traditional story, the little mermaid gains legs with extreme pain and sacrifice in order to watch over the man she once rescued. When he falls in love with someone else, she sacrifices herself in order to watch over and protect them on the open seas. You believe that in order to love, you must give everything and recieve nothing in return. These two are my childhood faves. Men who admire Spiderman strive for creativity, intelligence, and perceive themselves as outsiders to the cliques of the world. They hold great gifts but are too humble to exhibit their strengths before others. Men who admire The Beast value their intelligence as much as their physical prowess- possibly even more. However, when things get rough, they don't mind showing that they are still bigger, better, and smarter than anyone else around. Women who admire Spider-Man most may tend to seek out a loaner to coax his talents out of him. These women value intelligence, kindness, and goodness over material prosperity or physical attributes. Women who loved The Beast also respect intelligence over all else, but also valule the physical, animal attraction in a sexual relationship. Keep 'em coming---these get really good! Uh,oh, but I didn't like the princesses, what kind of issues do I have? I think my favorite was the seagul from Little Mermaid. Besides, all the princesses mom's died. As for super hero's who didn't love Linda Carter and her piercing blue eyes, and truth lasso. Wonder Woman- Feminist Icon and Princess of the Amazon Women! You are strong, independant, and powerful. You revel in being in control, asserting justice where justice is due. In relationships, you let your power take a backseat and allow the man you're with to be The Man, as you keep a watchful eye to make sure he doesn't get hurt. Careful! Don't let hiding your True Identity become stifling- you may turn resentful of your loved one. If he sees who you REALLY are, he will likely admire and worship you for the righteous powerhouse that you are! Wow, Farrah, such insight! And so TOTALLY dead on. I'm absolutely impressed. Wait until I get ahold of your hands this weekend...I read palms now, too. Your life isn't what you dreamed it would be, so you often feel oppressed or taken advantage of, and are just waiting for that prince to sweep you out of the chimney-dust and into that magical castle. Capeable, hardworking, and honest, you very well MAY be getting taken for a ride here and there! It's time all your hard-work be put to more productive ends, rather than spent flittered away just dreaming of the day your circumstances will change. Because, trust me, NO MAN is going to save you from an inaccurate perception of your life. 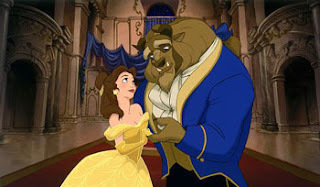 Yeah, I totally date beasts hoping that they will turn into princes before the last petal falls. I do, too. I always assume all that awkwardness will translate into building an incredible personality, intelligence, and sensitivity. But I've learned from a decade of beasts that those guys can be douchebags just as well as the good-looking ones. Alright Little Miss can be wrong. How about Superman? Little boys who idolize Superman grow up to be men who expect to save everyone from everything. They are the ultimate boy scout- dependable, trustworthy, and noble. However, they expect to be infalliable and have idealized their role as protector and provider so much that they often disappoint themselves for lack of perfection. They also tend toward that whole "Savior Complex" thing. Watch out for women in distress. They're needy, and when you're the one flying, she's pretty much just dead weight. Hi it's Broek...what about Supergirl? Welcome, welcome, Broek- good to hear from you again! While logic would suggest that Supergirl is the female equivilant of Superman, those who are familiar with the character will notice a significant difference in that she appears more falliable and coy than Superman's straightforward naivite would allow. She is not afraid to use the wiles of her feminine ways and exploit her girlishness to manipulate a situation to her advantage without relying upon her "other" gifts.